Adult's Steward Tabards in a range of standard colours and sizes. Printed both sides. Tape tie closing. 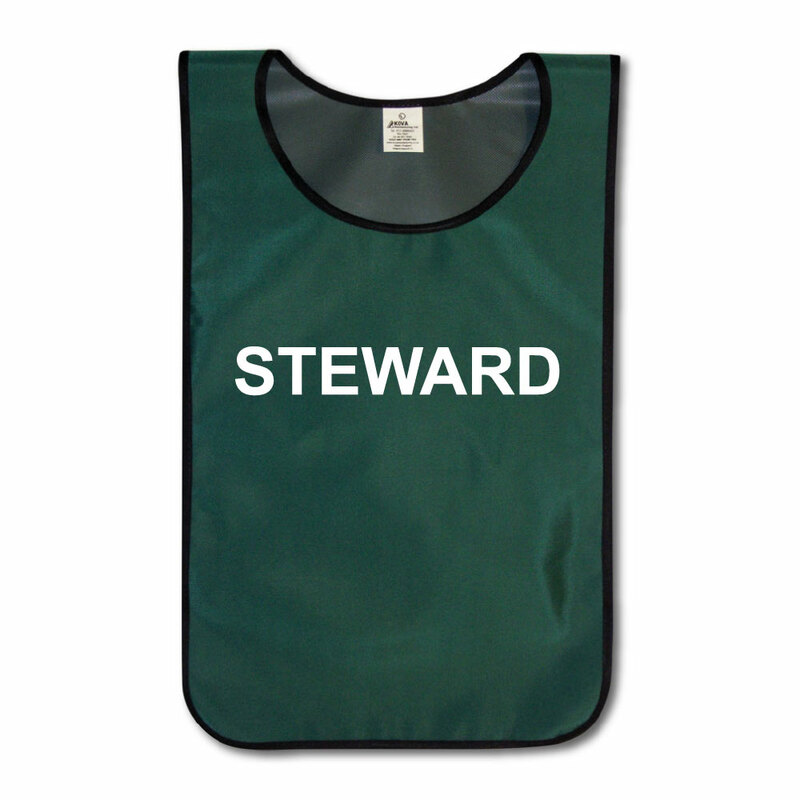 Ideal for any outdoor event or meeting where stewards are required. 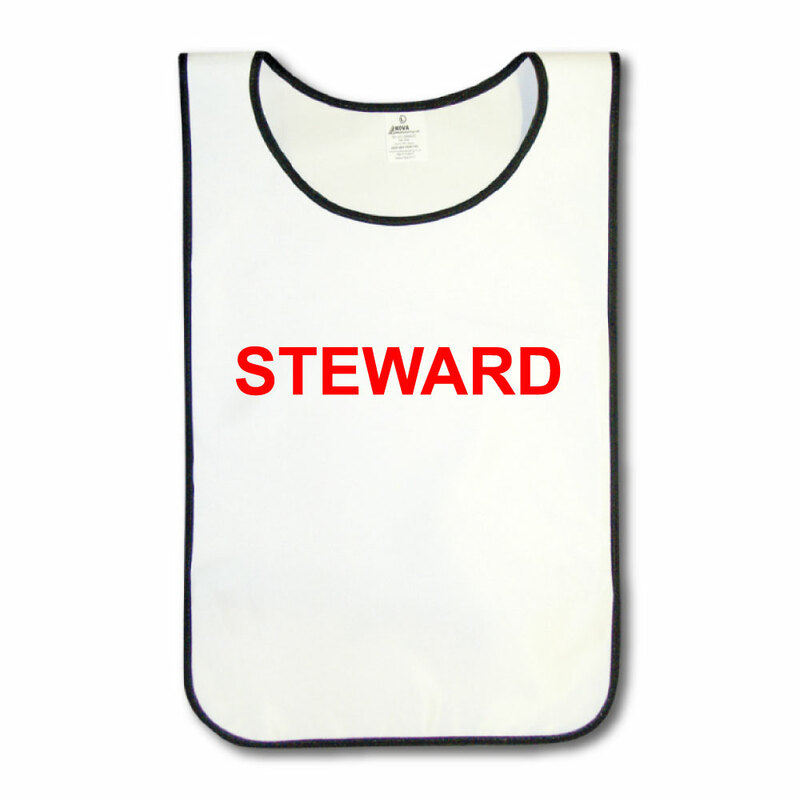 2XL 41cm x 76cm (18in x 30in)<\/li><\/ul>Buy Steward Tabards Adult's<\/b> from just one item. Bound in black polycotton trim. 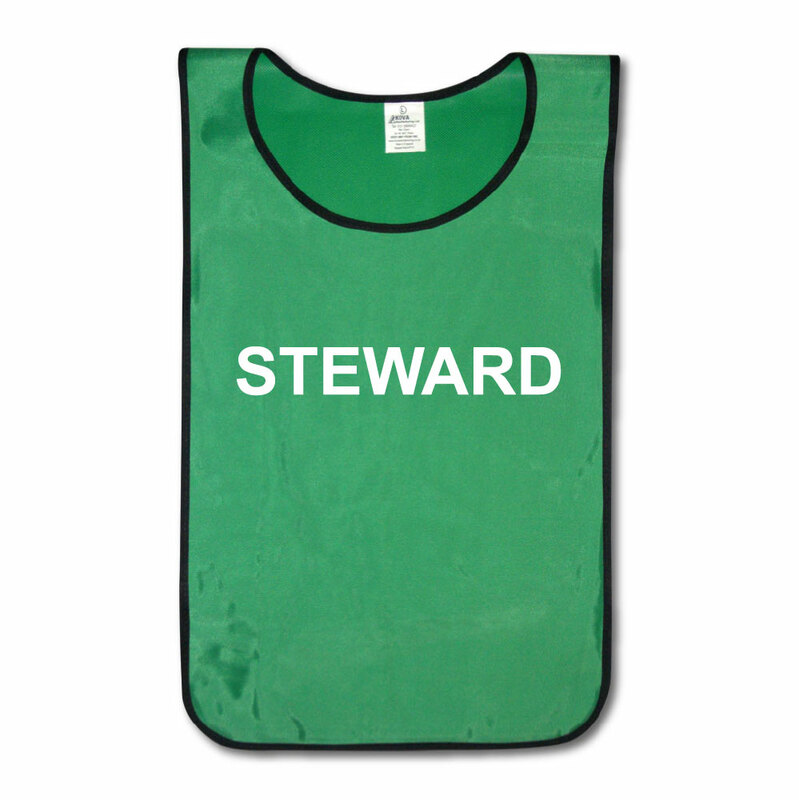 Buy Steward Tabards Adult's from just one item. 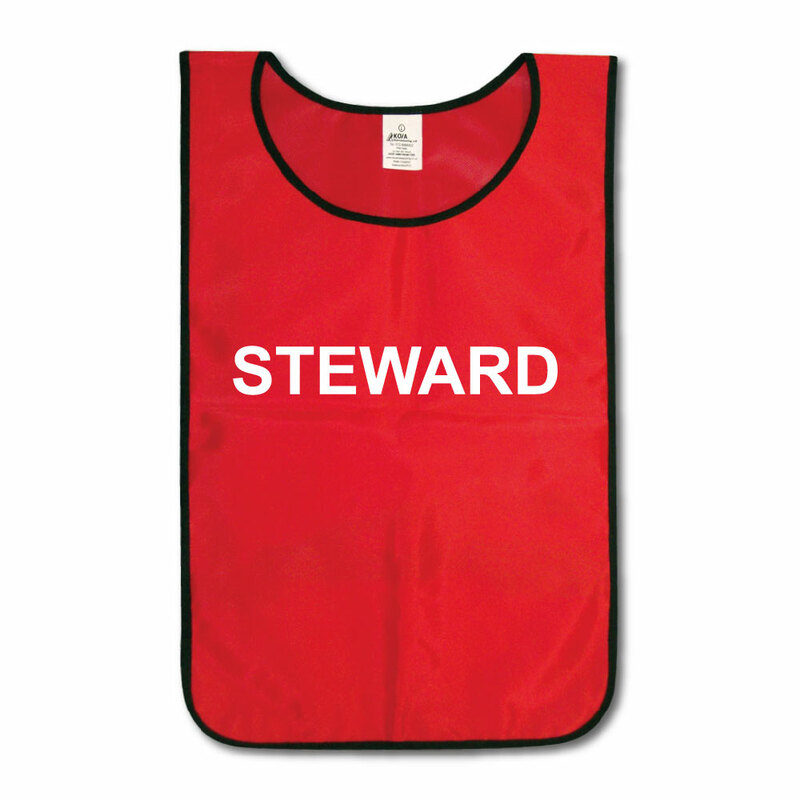 * Based on residence in United Kingdom. 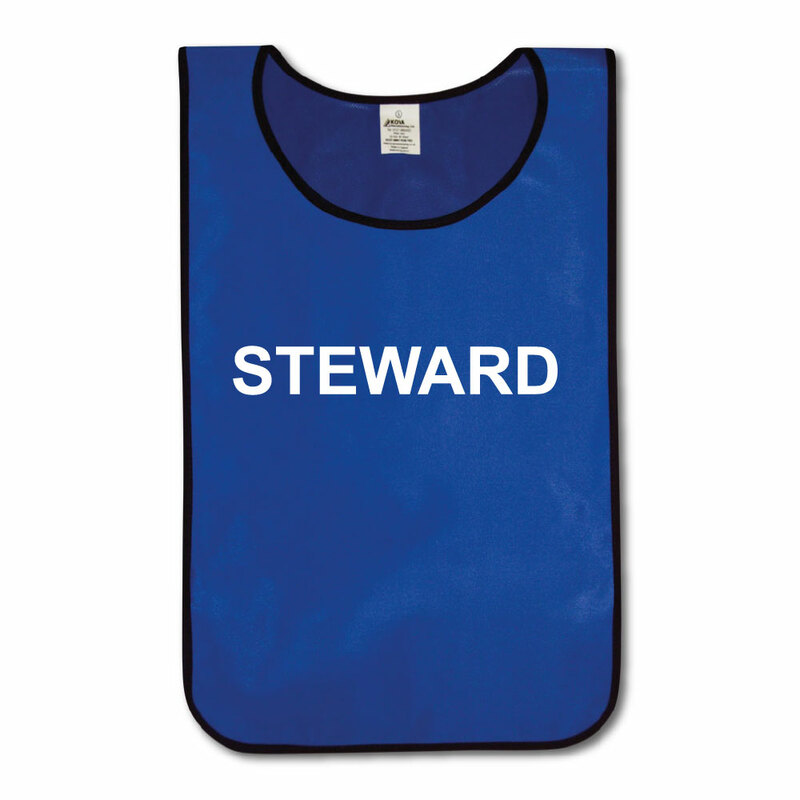 Tax rates for other countries will be calculated at the checkout. 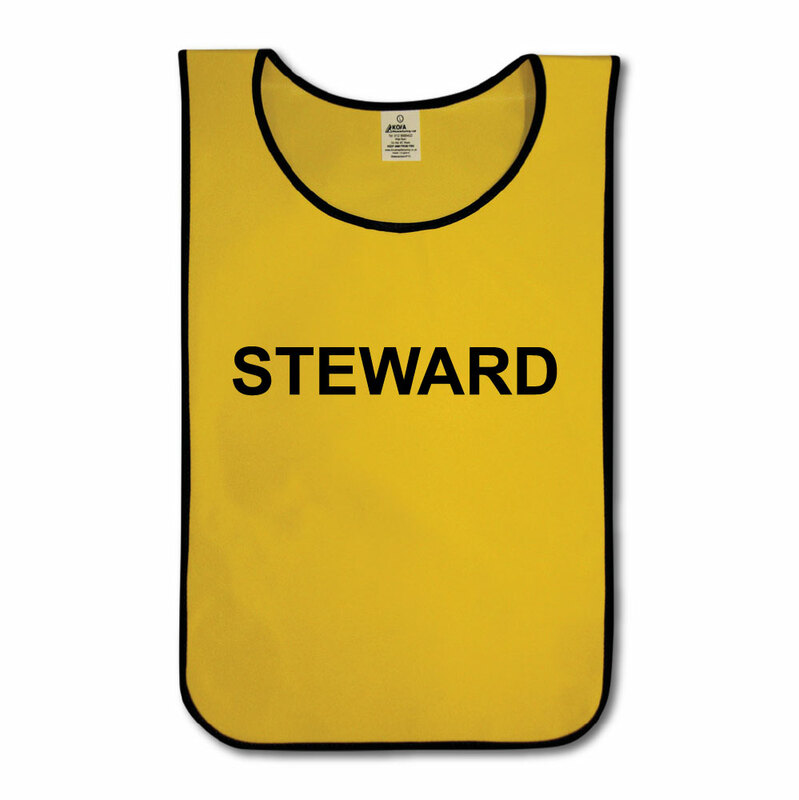 Price exclusive of tax: £6.55.